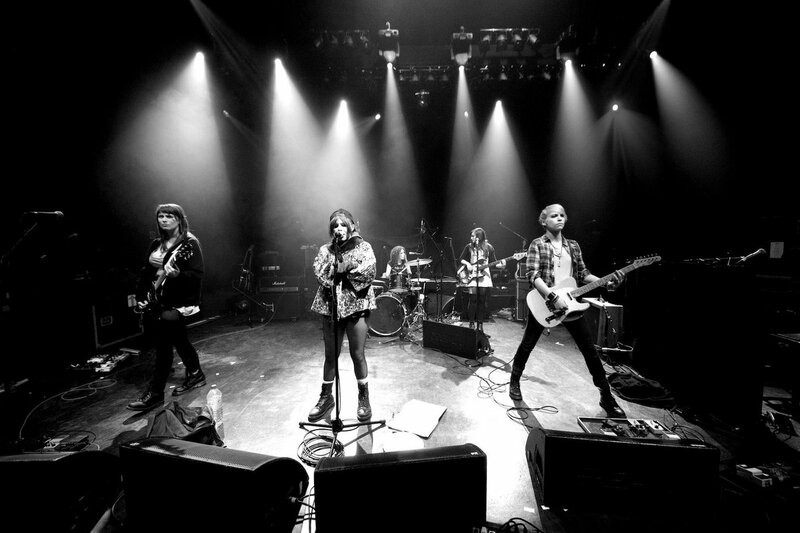 Loud and proud, Fake Club is a hard rocking all girl band from London. Rapidly growing in popularity,Fake Club is one of the acts who seem poised to spearhead a new generation of rock and roll madness. These guys know how to write solid, high energy rock songs and Fake Club exude a certain grit that most other bands won't be able to touch. They have a unique style and an approach to rock music that is wholly their own. Explosive and dynamic it's easy to fall in love with Fake Club, though they only have two songs out right now, I feel like any full length from them would be an impressive release. These girls know what it is to rock and their groovy approach to the genre will take them far. You see, Fake Club get what it is to play in a rock and roll band, and this attitude is sadly hard to find in today's rock scene. So sit back, turn it up and let's go. Fake Club are here to rock your socks off and their passionate and polished sound will keep you listening for hours on end.